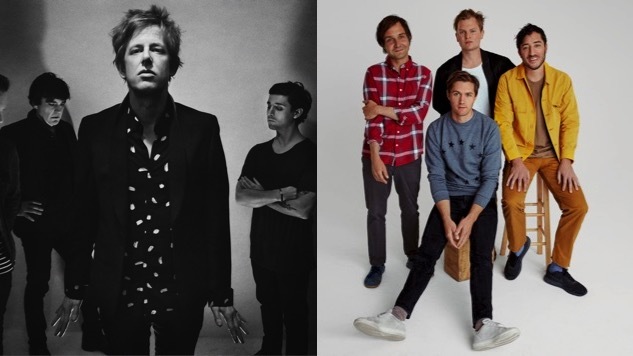 Two indie-rock institutions will share a bill this summer, as Spoon and Grizzly Bear have announced a series of U.S. co-headlining shows. The bands will take the same stage at seven Stateside stops this June, beginning at Boston’s Blue Hills Bank Pavilion on June 18. From there, they’ll play a handful of dates in the Northeast and Midwest before concluding their run at Surly Brewery in Minneapolis on June 30. For each ticket sold on the tour, $1 will go to PLUS1 in support of Everytown for Gun Safety Support Fund, an organization dedicated to preventing gun violence and building safer communities. The bands are good, and the cause is even better. See Spoon’s tour slate below—their dates with Grizzly Bear are marked with asterisks. While you’re at it, listen to both bands’ Daytrotter Sessions, check out our ranking of Spoon’s albums here and revisit our Paste Quarterly cover story on Grizzly Bear right here.